Candida overgrowth (candidiasis) is a very misunderstood and often misdiagnosed problem that affects up to 70% of the population by some estimates. There’s a lot of conflicting information out there, so it’s no wonder people are unsure as to whether they may have candidiasis or not. Medical experts are often quick to point out that since there are so many symptoms of candidiasis which mimic those of other conditions, that of course numerous patients are going to exhibit some of those symptoms. Consequently, these physicians continue to overlook candida as a potential root cause and treat the patient for something other than candida overgrowth. Too often, a “bandaid fix” is prescribed to relieve one or more of the symptoms, which offers nothing more than some temporary relief and does nothing to address the real problem. From my own battle with candidiasis in the 1980s, I know this all too well. I remember how it felt to have no one to turn to who understood how genuinely crappy I was feeling, and to not be taken seriously by any doctors, let alone family or friends, because there just wasn’t any kind of clearcut diagnosis. “It’s all in your head”, is so often heard by people suffering from the sometimes debilitating effects of candidiasis. Many of the patients I’ve treated over the past nearly 30 years had reached a point of desperation and had become very disillusioned from previous failed treatment attempts, wondering if they would ever get well again. They knew very well that they had a real issue that was making them feel terrible, but time and again they were told by physicians that there was no diagnosable health problem. How frustrating is that?! What are the symptoms of candidiasis? How could SO many symptoms be associated with a candida infection? Is this all just a load of crap? It sounds like a laundry list for a hypochondriac! Candida is referred to as “the great contributor” for numerous reasons, since “all health begins in the gut”. Additionally, candida affects immune health on multiple levels. It’s a clever little organism that can evade capture and cripple the immune system by causing both “up regulation” and “down regulation”. By disrupting gut health, candidiasis also affect the vagus nerve – a major nerve that connects the digestive system and major organs including the heart and lungs, to the limbic system in the brain, as it’s part of the parasympathetic nervous system. Recent research in the US shows that antibiotics like Tetracycline can actually fry the receptors in the gut responsible for uptake of the hormone “gaba”. This can create major anxiety for patients taking these drugs. Just as an antibiotic can cause anxiety in this way, these same receptors can be negatively affected by candidiasis and the chemicals produced by yeasts. These receptors link up to nerves, which link up to other parts of the body, meaning the problems can become very widespread. More research is being done in several countries to better understand the connections to gut health in various medical conditions. It is suggested that candidiasis may also contribute significantly to the underlying causes of a number of medical conditions as diverse as PMS, asthma, eczema, psoriasis, epilepsy, schizophrenia, multiple sclerosis, adrenal fatigue, hypothyroidism, hypoglycemia, and even hyperactivity. Many of these connections are still virtually ignored by mainstream doctors, and have been for some time. But in the future, more of this information will become mainstream. I just hope that day comes soon enough for a lot of my suffering patients. Diagnosing candidiasis is not that difficult if a physician knows what to look for. One of the keys to diagnosis is comprehensive stool testing, which in my opinion is one of the best tests to determine whether you have candida overgrowth and/or bacterial and parasitic infections. Equally valuable is that this test will also show your levels of beneficial bacteria, also known as “the policemen of the gut” because they keep the bad guys in check. If you suspect you might have candidiasis, it’s important to do an assessment to see if you do, and how severe it might be. If you’re having serious health issues and you’ve been to various practitioners who told you various things that didn’t help, you really should consider the comprehensive stool test. If candidiasis is your problem, detecting it, treating it and eradicating it can be done without catastrophic medical bills and undue disruptions to your life. I’ve developed an online quiz based on my years of experience with thousands of patients that will help you determine if you might be suffering from candida overgrowth, and if so, to what level of severity. If you really want to feel better, you have to start somewhere. Finding out what’s causing your problems is the first step. From there, it’s up to you to take a practical, well-rounded approach to ridding your body of excess candida and taking back your health. You can read a lot more in my book, Candida Crusher. You can also access some of the best dietary supplements in the world that were created specifically for candidiasis and SIBO, etc. Learn what is candida albicans? 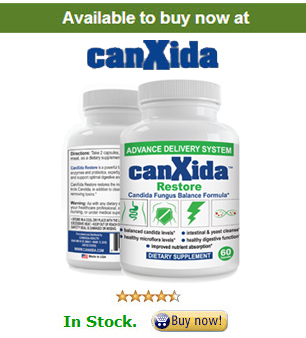 Learn about causes of candida overgrowth. When Should You Take Antifungals?